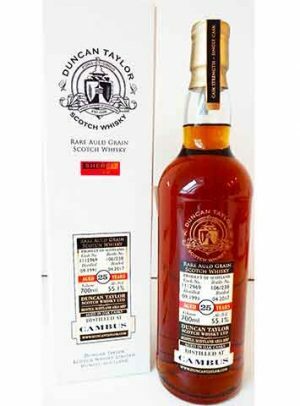 Cambus Distillery is near Tullibody, Scotland (between Alloa and Stirling) The distillery was converted from a mill to a malt distillery in 1806, and Cambus went on to became one the of largest grain whisky distilleries in Scotland. Unfortunately in 1914 fire broke out and engulfed most of the distillery, only the bonded warehouses and their precious contents were spared. As a result the distillery closed and did not reopen again until 1938. 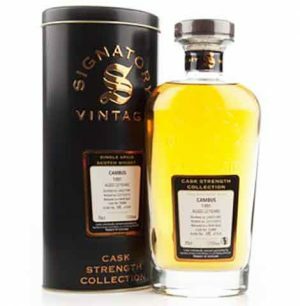 Production continued from this date until in 1993 grain production was concentrated at Cameron Bridge and the distillery was closed. The warehouses are still used.